My unsaved friend had a few questions for me about the New Testament. Edits to the text that introduce conformity to the established doctrine. The search for the historical Jesus. Secret gospels that the church suppressed. How would I answer such questions? 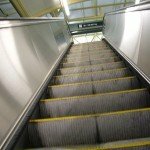 How could I help my unsaved friend evaluate such evidence? How would you approach your friend who tossed similar questions at you. One evangelism fear that people have is being caught without an answer to questions like this. My friend has given me a specific example of an “I don’t know what to say” moment. This is where a book like That’s a Great Question: What to Say When Your Faith Is Questioned, by Glenn Pearson, can be a helpful tool for you. The book is focused on helping you analyze objections that are commonly found to the New Testament, specifically claims against the reliability of the New Testament. Pearson focuses on worldview filters that skeptics and believers bring to the reading of the New Testament. I’m grateful he recognizes that he himself brings a filter that starts with the NT being reliable. I found myself laughing at his humor, his funny stories, and his first hand adventures in talking about his faith in Christ. It is a book on apologetics I found hard to put down. No boring list of data facts here. The purpose of this book, then, is to demonstrate that a commitment to academic excellence and intellectual integrity is consistent with belief in the Bible. 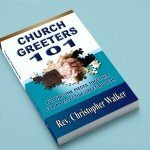 I hope to equip you with valuable perspectives and insights that will help you identify and confidently respond to filters often used by those outside the historic Christian faith. Furthermore, I will arm you with practical principles that can clarify some tough challenges to Christian beliefs. 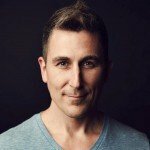 Part 1 is an introduction to filters that skeptics bring. 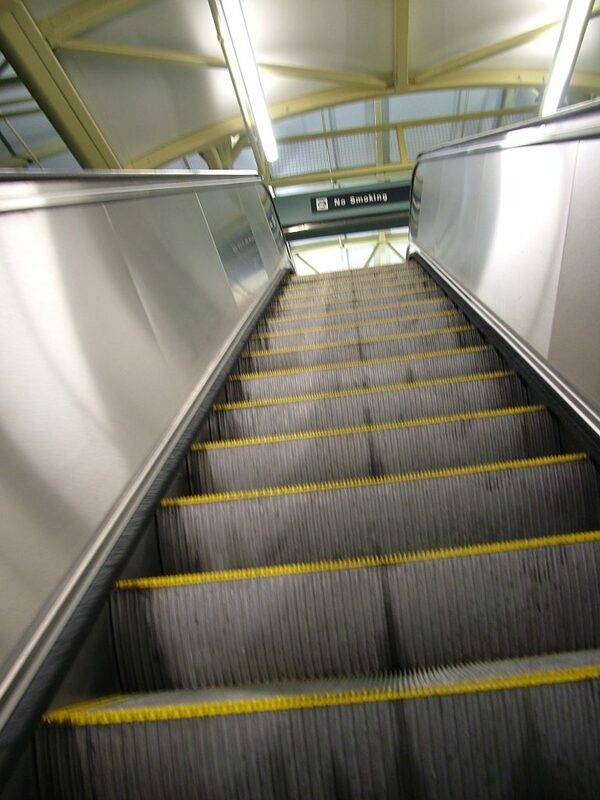 Filters strain out evidence that is unwanted, or creates blindness to likely alternatives. For example, chapter 3 is a discussion of two types of filters that add to the stories of Jesus, based on secret or suppressed documents, conspiracy theories. This chapter made me laugh out loud a few times. Chapter 5 tells the story of a college class and the Jesus seminar and shows about how anti-supernaturalism leads to forgone conclusions, stacking the deck with similar thinking minds that filter out other explanations or possibilities. Skeptics have a basic problem when it comes to explaining Jesus’ message. They claim that the Jesus of the Gospels was a remarkable but mortal man whom his followers elevated to divinity. But they never seem able to explain adequately just who did the extreme image makeover or who wrote his amazing speeches. Part 2 is applying filters that a Christian believer brings to the same objections. Part 2 of this book presents eighteen principles that provide a solid interpretive approach to the Bible. I call these “Pearson’s Principles for Approaching Puzzling, Perplexing, and Problematic Passages.” If the principles are valid and if the Bible is reliable, this approach should address critiques colored by various filters and which question the validity of the biblical text. 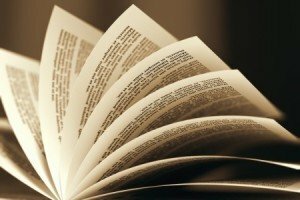 Some apologetic books focus on difficult questions about particular texts (God Behaving Badly). Other focus on learning and challenging religious worldviews (Evangelism Slightly Less Difficult, or Tactics). Others focus on Reasoning from the evidence to the existence of God (God is not Dead). Pearson’s approach is to expose the presuppositions that a skeptic brings to a Bible passage and how a Christian can reasonably deal with objections and still have intellectual credibility in belief. 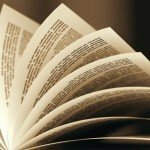 Do I have biases about the Bible? Of course. I have concluded that it is reliable and accurate and is, in fact, God’s inspired, inerrant, infallible, and historically reliable revelation to humanity. This is not simpleminded acceptance, but an opinion backed by considerable research and study. Are there problems with my position? Of course. I am fully aware of the intellectual challenges inherent in this theological view, but there is strong supportive evidence for my stance. Do skeptical critics have biases? Of course. They, too, would say their positions are based on careful research, and they are correct. Are there intellectual problems with their positions? Of course. There are enough complicated factors that neither side can claim victory based solely on the academic arguments. The point, however, is that it is possible to be a thoughtful, well-educated, well-adjusted person and to believe that the Bible is God’s inspired, inerrant, and infallible revelation to all people in all ages. Who is That’s a Great Question for? 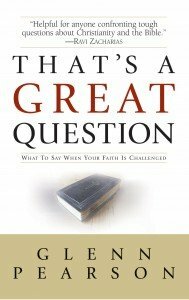 I found That’s a Great Question: What to Say When Your Faith Is Questioned to be a great book for Christian believers who need to know how to analyze plausible objections to the credibility of the NT. 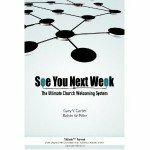 Young adults headed to college or already in the university will find this book helpful. If you regularly engage non-believers in meaningful conversations about your faith, you’ll run into objections and questions that are addressed in this book. If you are a skeptic, than this book may bother you. Pearson politely shows you the presuppositions you bring to your own analysis. He admits he brings his own as well. If you are spiritually thirsty and honestly searching for how a bible believer can believe the Scriptures, you’ll find a honest assessment of the evidence and plausible explanations of alleged contradictions in the text. 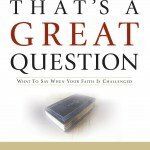 Order your copy of That’s a Great Question: What to Say When Your Faith Is Questioned from Amazon. I will receive a small commission. 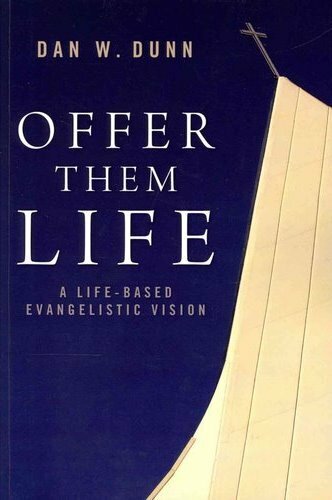 Having read a steady diet of popular church growth books, Dan Dunn’s Offer Them Life: A Life-Based Evangelistic Vision is different academic challenge. It is not a book to consume in one sitting, but a great book for those who want to think deeply on the biblical theme of Life. 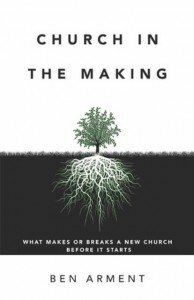 I love Dan’s passion for evangelism and it clearly shows through the book with a mix of scholarly wrestling plus how to make such insights available in practice. Dan’s cross cultural missions experience (a passion that I share personally) gives him tremendous insight into his study. This book requires deep thought and this was a welcome refresher in an age of “theology lite” books I’ve read the last few years. Reading it felt like an appropriate return to seminary. For me, that was a timely challenge that I appreciated. Dan has made the effort to survey the scholarship and to synthesize their thoughts plus his own surrounding the biblical metaphor of life. I appreciated Dunn’s scholarly approach. Rather than reduce the gospel to 3 propositional statements, Dunn looks throughout the scriptures at the theme of Life. He takes well-developed steps to map out a comprehensive picture of this metaphor throughout Scripture to show the centrality of this message in Scripture. His thoughts would serve missionaries, pastors, and evangelism trainers like myself as they prepare their evangelism habits and teaching materials. 1. A solid case can be made that “full, vibrant life” is the central theme of the Bible. This is therefore what God calls us to enjoy in relationship with God, others, and creation. It is not only eternal life, but a full and meaningful life as one lives out God’s purpose and plan for which we have been created. 2. 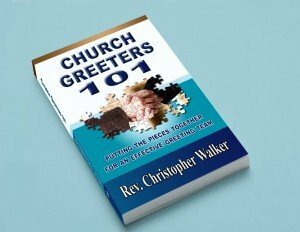 Portraying the full vibrant life that God intends to non-Christians is a central element of evangelism. This what we should be inviting non-Christians toward. Sure, the offer of salvation includes forgiveness of sin, but it also includes the offer of “abundant life” here and now. We should not stop using other biblical/theological language, such as redemption, forgiveness, salvation. Dunn only asks that we add full life oriented imagery and vocabulary to our theological/biblical understandings and also our evangelistic communication. Two perspectives underlie the current practice of evangelism in the U.S. American context. The first is one’s understanding of eternal life. The second is basing evangelism on the concept of kingdom. Christians, therefore, must continually discern ways of thinking about and practicing evangelism that honor the strong biblical theme that God wants God’s created humanity to experience life fully (abundantly, according to John 10:10), on this earth, prior to physical death. I would now like to introduce a related yet different concept for you to consider: that we frame the relationship between life and kingdom in reference to ultimate goal or purpose, as distinct from the instruments or means that lead to that ultimate goal or purpose. Thus, Jesus’s primary goal in announcing the kingdom and inviting people to respond to it was not so that they could be counted as citizens of the kingdom for the sake of the king or the kingdom, but for their own sake, because it is through submission to the rule of King Jesus that they would receive new life in him. Evangelism begins with God, but God also intends, invites, and desires that God’s people be active participants in the evangelization process. The Scriptures vividly portray that God’s plan for calling God’s fallen creation back to God’s self includes people as integral ministry partners in this work. From the calling of Abraham to be a blessing to all the families of the earth, to young Mary giving birth to the Son, to the early disciples leading thousands of people to Christ—the Bible makes it clear that God wants to communicate the possibility of new life in Jesus to people through people. Therefore, though evangelism begins with God and is utterly dependent on God, God also envisions a vital role for Christians. Without question, God is the sole source of new life in Christ. However, this does not automatically mean that God is the sole agent in the process that leads us to this new life. God’s sovereignty in evangelism does not cancel out God’s intention for us to be used as God’s agents in evangelism. Rather, it is in God’s sovereignty that God has chosen us as God’s agents. How, therefore, can we portray (and invite persons to) an experience of full life in Jesus that appropriately calls them to center that experience in their commitment to and relationship with God? This is the essential point I am making in relation to creation as the starting point for an evangelistic vision grounded in the biblical theme of life. We begin with God’s good and positive intentions. This provides a more appropriate biblical and theological foundation for theology and evangelism. 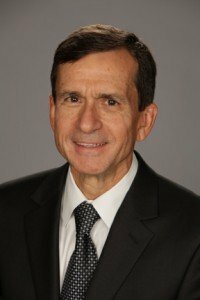 Dr. Dan Dunn has done what few can do. He has written a very academic and scholarly treatise delivered in a language we all can understand. His brilliant mind, disciplined academic pursuit and passion for helping others find life in following Christ has resulted in a book every Christian worker should include in their library, not as another dusty tome, but as a pattern for their life and ministry of evangelism. Every theological school which hopes to actually equip their graduates to do the work of the ministry should include this book in their curriculum. 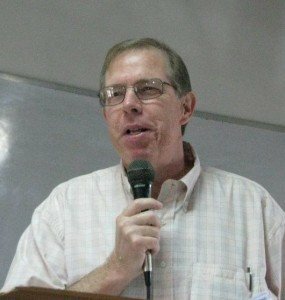 Dan is a personal friend of mine and I have taught with him in the seminary he has founded in Venezuela. I have gotten to know him over the last few years as we share passions for personal evangelism and a profound love for Latin America. Even if I didn’t know Dan personally, I’d still recommend this book for your academic reading. Let it impact how you practice evangelism. 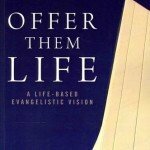 Order your copy of Offer Them Life: A Life-Based Evangelistic Vision Amazon. I will receive a small commission. I was recently asked to organize our almost nonexistent hospitality team at church. I was honored to be asked but honestly not sure where to start. I mean you just say hello to people right?!? Who knew there was so much more to what a greeting team actually does! Thank you so much for this book and the wonderful information and insight it has given me. I’m excited to do this ministry for our Lord!